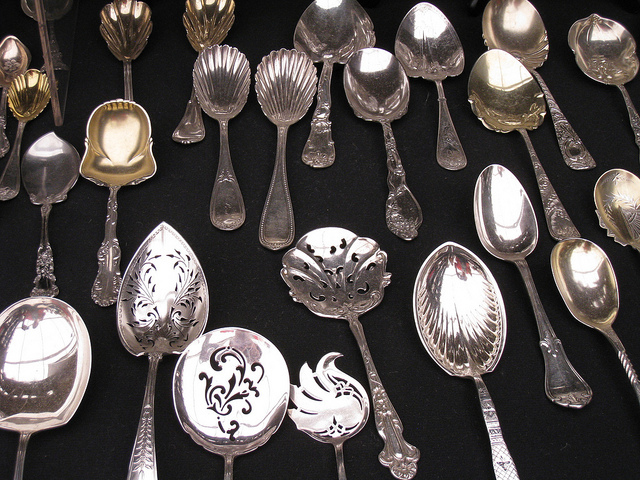 Beautiful silver spoons on display at Round Top Antique Week (in and near Round Top, TX); photo by MyEyeSees on Flickr (noncommercial use permitted with attribution / no derivative works). HOUSE CONCURRENT RESOLUTION (H.C.R. No. 102). RESOLVED, That the 80th Legislature of the State of Texas hereby designate silver as the official precious metal of Texas.